AAA just rolled out the 4th of July weekend forecast. 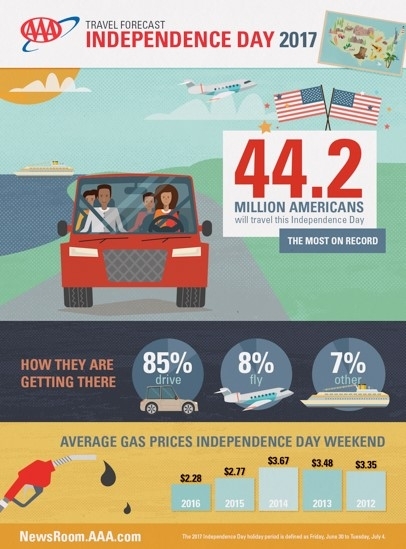 This Independence Day, a record-breaking 44.2 million Americans will travel 50 miles or more away from home, taking to the nation's roads, skies, rails and waterways to honor the red, white and blue. With 1.25 million more travelers than last year, 2017 will be marked as the most traveled Independence Day holiday weekend ever.